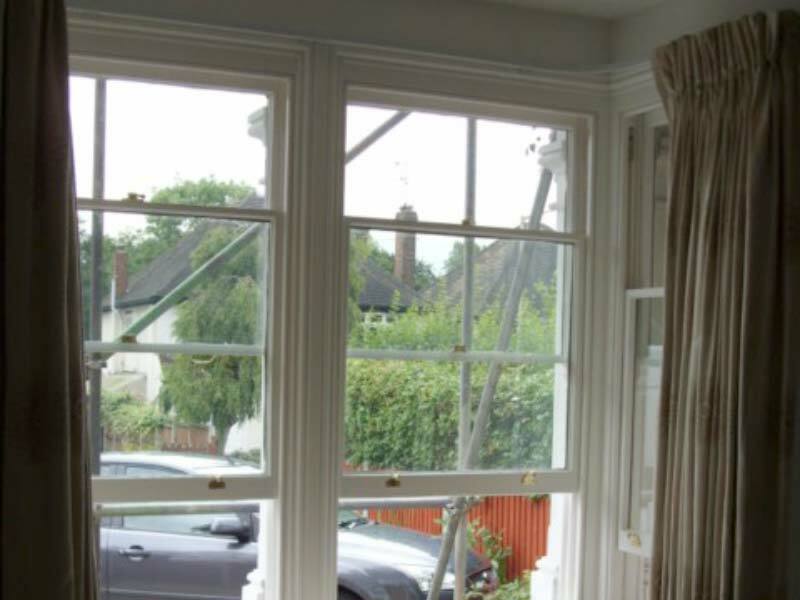 Replacing complete sash windows can be a costly process so a lot of people tend to put up with the problems they have. Cold drafts coming in and warm air getting out. They end up paying more for their energy bills as their old windows are not as efficient. However, Milbarn Construction has a solution that allows for the restoration of their existing unit reducing the cost by up to 50%. The result maintains the originality of the design and offers the same high quality. How do we do sash window refurbishments? Each casement is removed and taken back to the bare wood so that any rotten areas of the frame and casement can be treated prior to rebuilding with our timber repair and care methods. Before we repaint and refit the sash units, we re-glaze them with a choice of 4-6 mm glass or 9-11mm double glazing. Finally our draught proofing system is installed and the units are back to their former glory, actually they are better than when they were new. If you are interested in having your sash windows restored and would like to see a demonstration of our process, drop us an email or phone us now and we will be happy to arrange a visit to you to give you an understanding of our Sash window renovation process, the products used and discuss the options for your windows. The demonstration is relatively short taking approximately 10-15 minutes for you to see the benefits to your sash windows. View our Sash Window Gallery for our projects.